Yesterday, I was fortunate to attend the ADB-AIM Hacksthon. The actual hackathon has already happened, so what I witnessed was the final pitches of the nine finalist groups. Also, this was the pre-event to the Digital Development Forum, which is scheduled for today and tomorrow. I had my traditional photo by the Asian Development Bank sign. 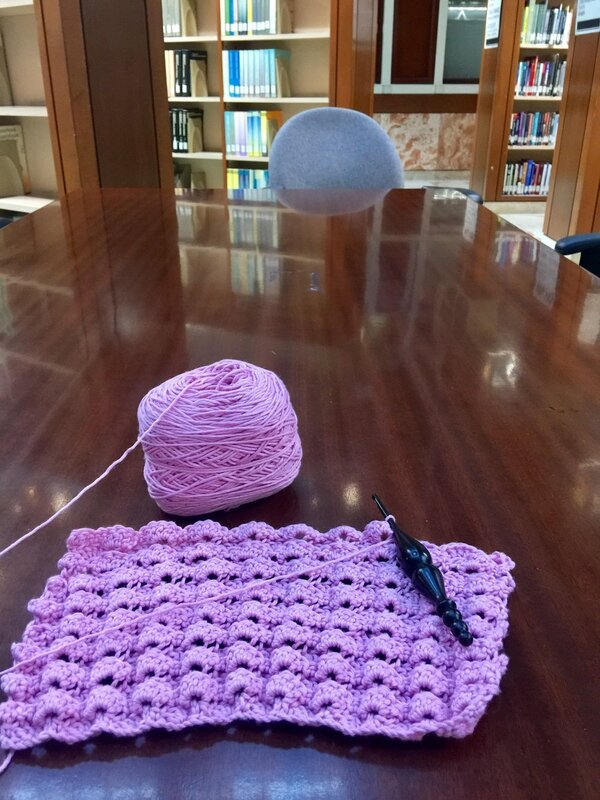 I got to crochet at the ADB library after having nasi goreng for lunch at the cafeteria. 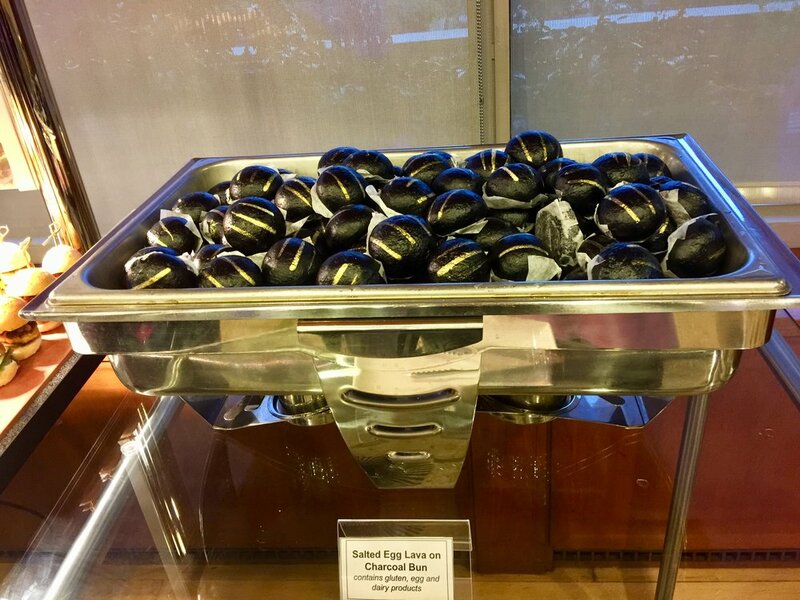 I am always honored to represent my blog in events, and yesterday was no exception. 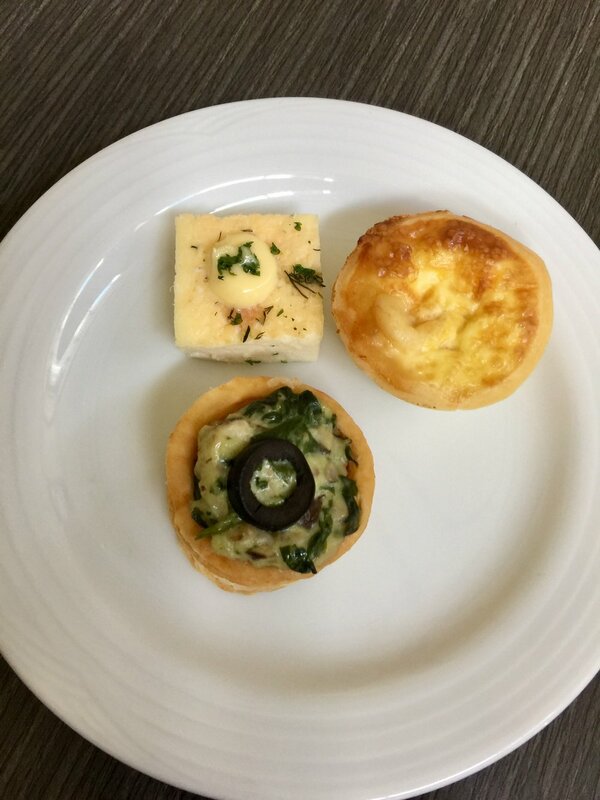 I enjoyed these quiches and frittata during the first coffee break. I learned that a hackathon is a creative marathon that bridges tech startups and stakeholders. The goal is to solve existing problems through technology. I was amazed with the pitches by tech startups to solve health, ID, and KYC (know your customer) problems in developing Asia. For the second coffee break, I had ADB’s famous crinkles. I personally think that it is the best in the country. 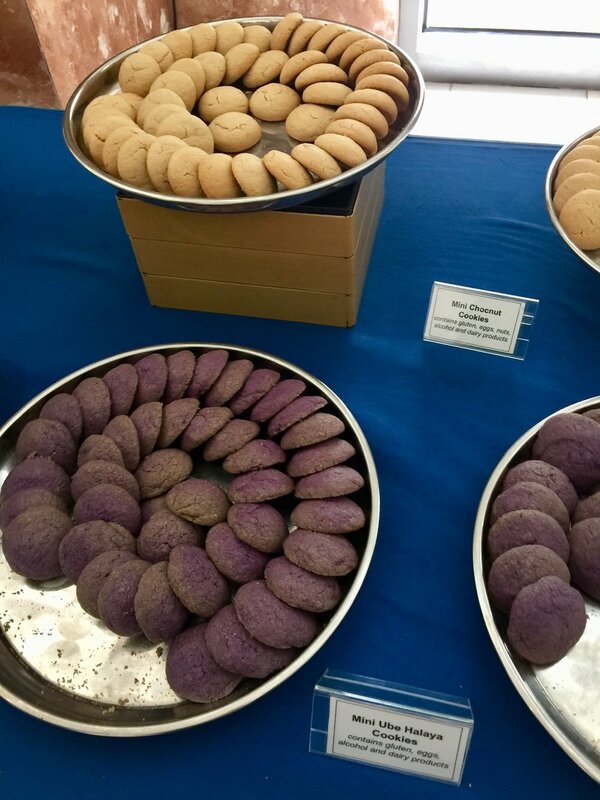 I also tried other ADB cookies such as ube and Chocnut. Both were also delicious. 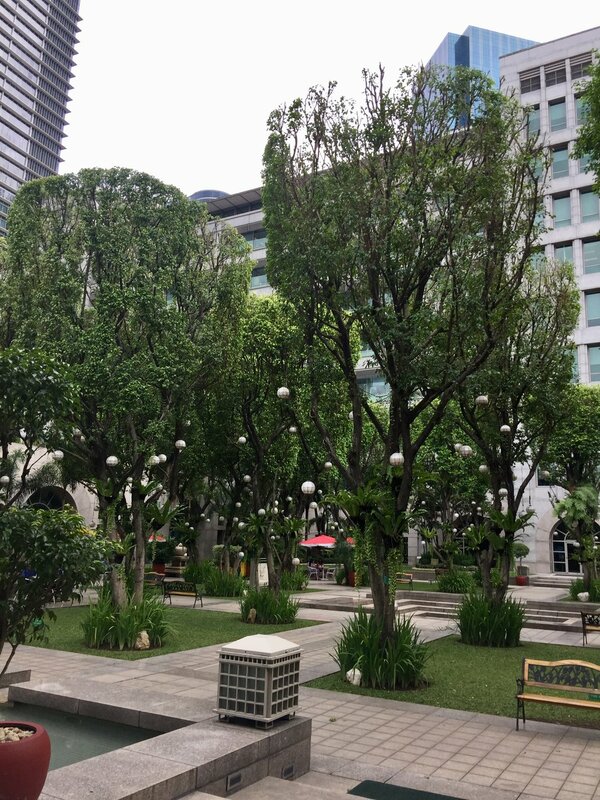 It was a treat to eat my snacks in the iconic garden, which is an oasis in the middle of busy Ortigas. I also got to crochet again while waiting for the next phase of the event. There was a cultural show, then it was time for cocktails and dinner. 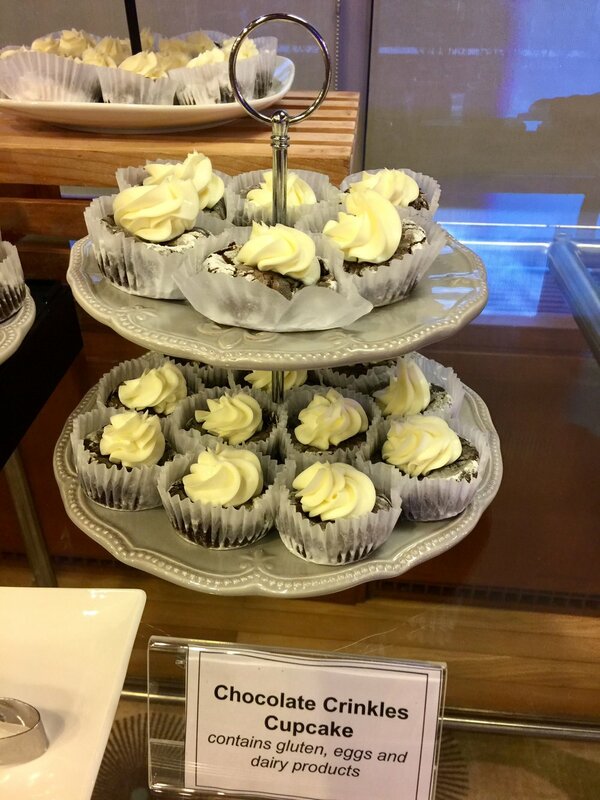 Their chocolate crinkles cupcake was the yummiest dessert I’ve ever had! I had an incredible time. I look forward to the two-day Digital Development Forum, and I am excited to learn, interact, and network.